An experienced tutor can help you prepare for the USMLE Step 1 and ensure that you perform well on the exam. My name is Dr. Rayan, and I have helped over 100 students score above 240 on USMLE Step 1. I have been sharing my experience for free to help students just like you. Today, you can sign up for my 6-week intensive USMLE Step 1 Prep course. 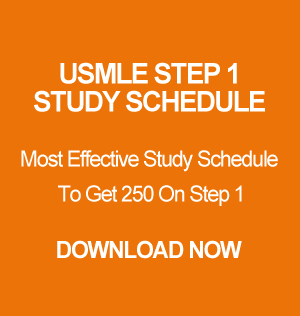 During this course, I will be teaching live-on-demand daily for six weeks to give you the confidence you need to take the USMLE Step 1 as soon as possible and still achieve a high score on the exam. I only take a limited number of students at a time. Sign up today! All concepts from USMLE World, Kaplan & NBME.